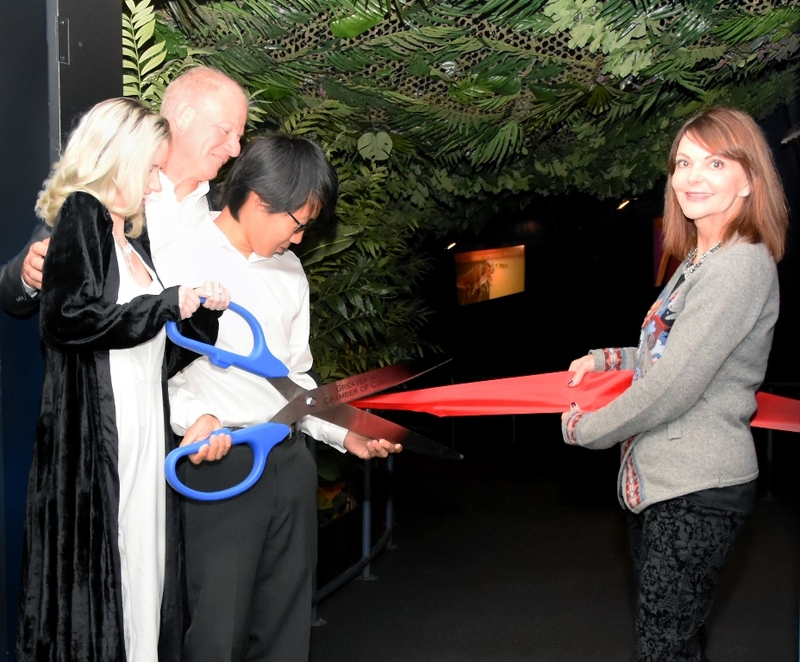 This past weekend we welcomed Trustee Tom Mosey and his family for a ribbon cutting and tour of our new exhibit, Jurassic Giants: A Dinosaur Adventure. 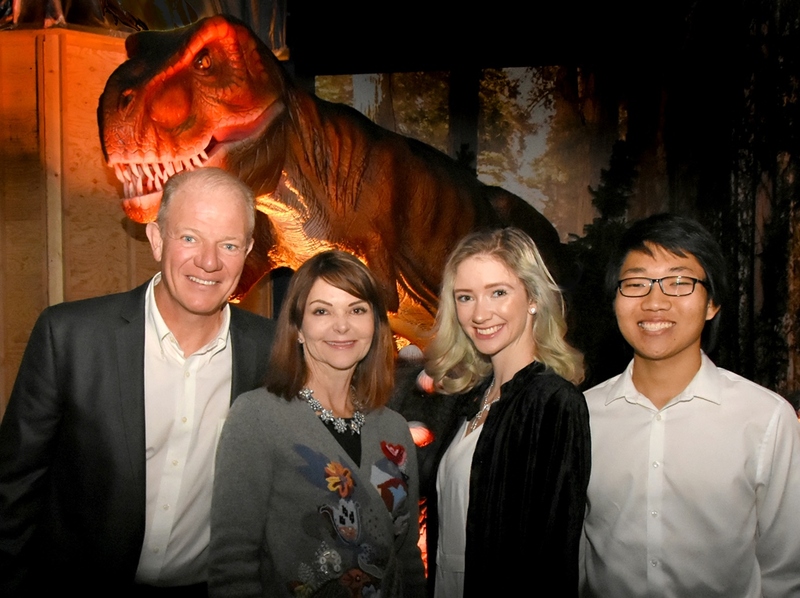 We are very grateful to Tom, Julie, Samantha and James Mosey for their family’s sponsorship of the exhibit and active involvement in its design and implementation. The exhibit opens to the public this Saturday, April 7th. Here are a few images from Saturday’s event, and a sneak preview of the exhibit. The dinosaur exhibit is fun, exciting and engaging. However it also underscores an important conservation message. The exhibit features American Alligators whose lineage dates back to the time of dinosaurs during the Triassic period. The American Alligator was at the brink of extinction less than two decades ago. Today, the American Alligator is a conservation success story. The population of this species has rebounded as a result of aggressive conservation measures that included protection of the species, habitat restoration and breeding under human care. 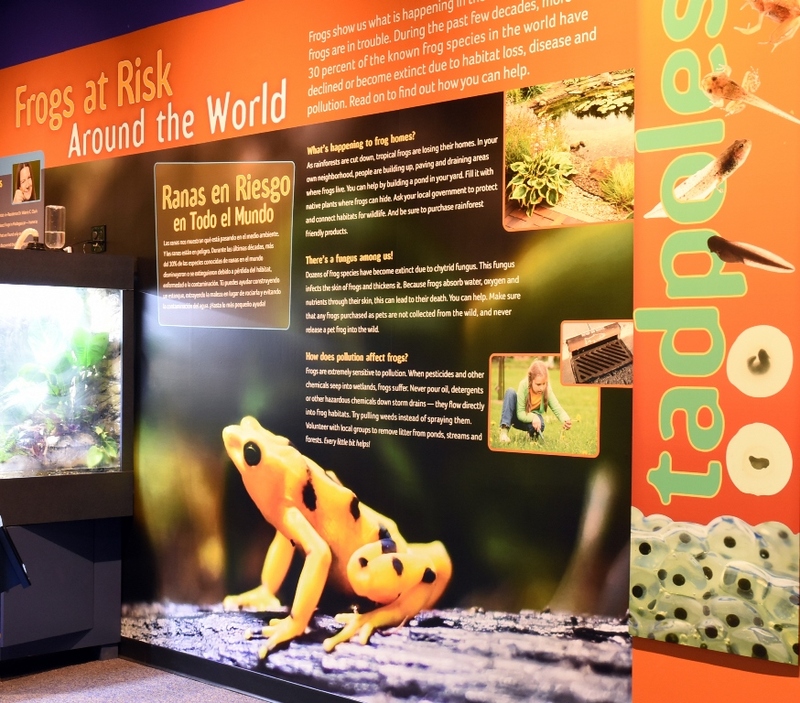 Just beyond the dinosaur exhibit is our Frogs! exhibit that is hugely popular because frogs, like dinosaurs, are fascinating creatures. Some estimates indicate that 170 species of frogs have disappeared completely in the last decade and approximately 1,900 other species of frogs are highly endangered. 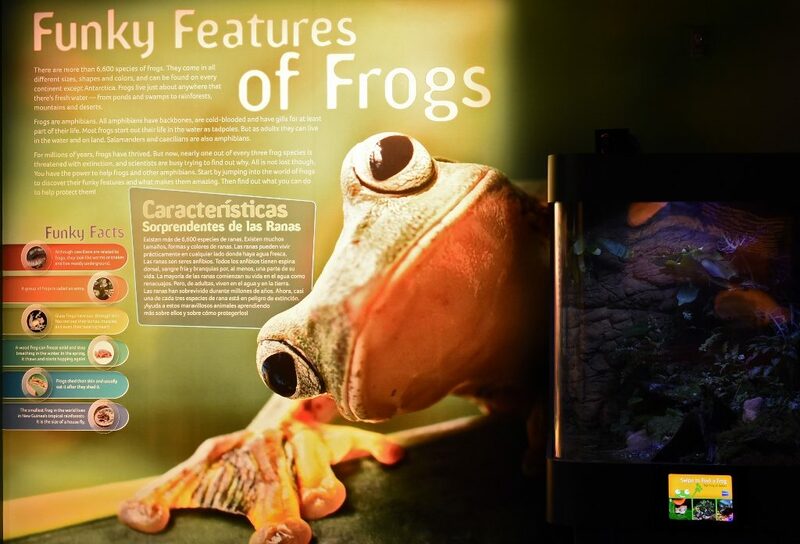 Discover the Funky Features of Frogs! Mystic Aquarium is actively engaged in multiple research projects related to threatened and endangered species, including beluga whales, African penguins, frogs and horseshoe crabs. We engage staff and thousands of volunteers annually in field conservation programs to protect vulnerable species from the plight of dinosaurs. One example is Mystic Aquarium’s collaboration with Charles River Laboratories and many other organizations on conservation efforts related to horseshoe crabs. Like the American Alligator, horseshoe crabs have survived, relatively unchanged, for some 445 million years. Today, however, horseshoe crabs are a threatened species. Last week I reported on maintenance to the Foxwoods Marine Theater. We are thrilled to announce a new opportunity for up-close encounters with the California Sea Lions who reside in that habitat. The following appeared on WTNH News 8 this past week. Special thanks to Marine Theater Supervisor Sarah Dunn and Assistant Supervisor Kristen Waddell for their good work on this project. 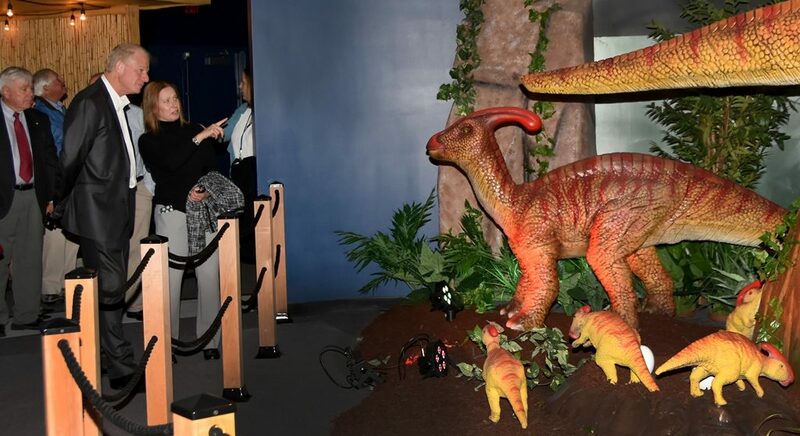 We look forward to welcoming you to Mystic Aquarium and engaging you in the new exhibit, Jurassic Giants: A Dinosaur Adventure!